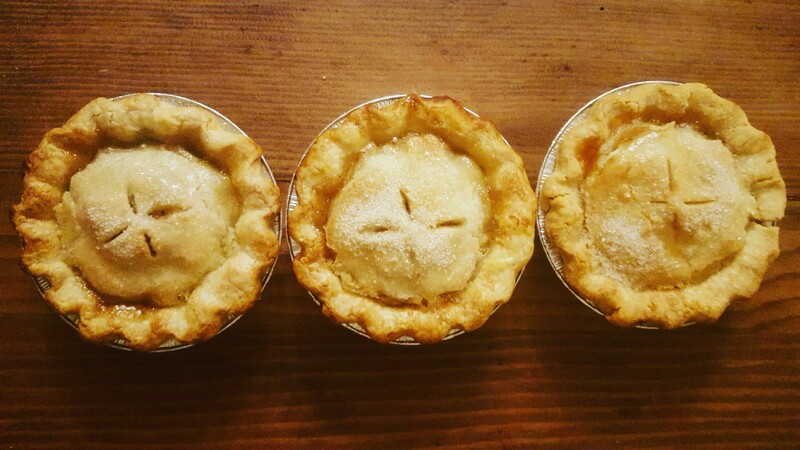 Pie Pops from BAK Family Farms. Photo by Yarcenia Garcia. BAK Family Farms (pronounced “bake”) is a confectionary on the rise you won’t find in the typical brick and mortar. Rather, this sweet treat bakery is located on a 20-acre Lincoln ranch where horses, cows, chickens and a bustling family of five call home. The candied fruit aromas radiate from the farm’s cozy kitchen. You’ll quickly notice a decadent scent of fresh peaches, apples, and berries hanging in the air, as a Mom-Preneur diligently uses her tools and determination to create quality pastries from scratch, while her three young girls eagerly watch from behind a kitchen counter. Before Samantha Katzenstein was the new baker on the block causing major buzz, she was a teacher and eventually landed into a sales position– a part of the corporate world and nowhere near the idea of staying home or starting her own company. She was always on the move, only baking when she could find time. Now Katzenstein spends time at home raising her daughters while simultaneously becoming a topnotch baking boss lady, whipping up the best and brightest ideas for classic pies with a modern twist. It all started on her birthday in August 2016. She and her friends were chatting. 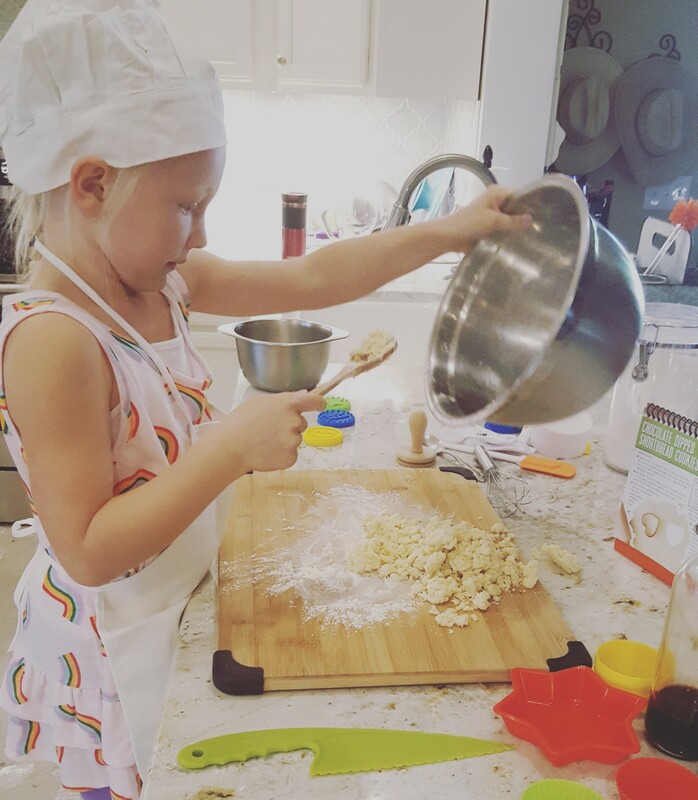 A month later in September, she made her famous pie pops for her daughter’s birthday and the flavorful pastries were a huge hit. After a few requests from fellow parents asking Katzenstein to grace their children’s parties with her heavenly delights, people kept praising, “You should sell these!” And that’s when a light bulb switched on in her head telling her, maybe you should! Soon after, Katzenstein couldn’t stop thinking about her future business and one night wrote a plan for the project with even including an idea of the B-A-K logo sketched out. The letters stand for her daughters Brooke, Audrey, and Kate. A month later she went forward with BAK Family Farms and decided to pursue an unknown territory. Though publicity is spread through social media and advertisements, much of her success comes from word-of-mouth. 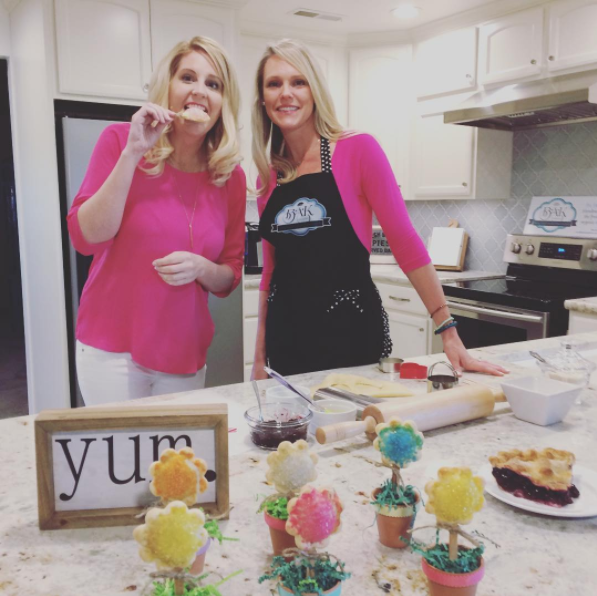 People were spreading the buzz on how undeniable her talent was for baking and this kept her pursuit alive. With orders coming in quickly her pies started popping up everywhere: weddings, parties, and events like GATHER. She even made an appearance on Good Day Sacramento back in April this year. She loves the connectivity factor of it all, coming into contact with people through one of her deepest passions. She stresses how her business provides more than just food, and as an example, she used a touching experience between an elderly mother and her daughter. “I have a customer with a mother who can’t remember much. One day I brought them a berry pie and the Mom commented on how the taste was really good. 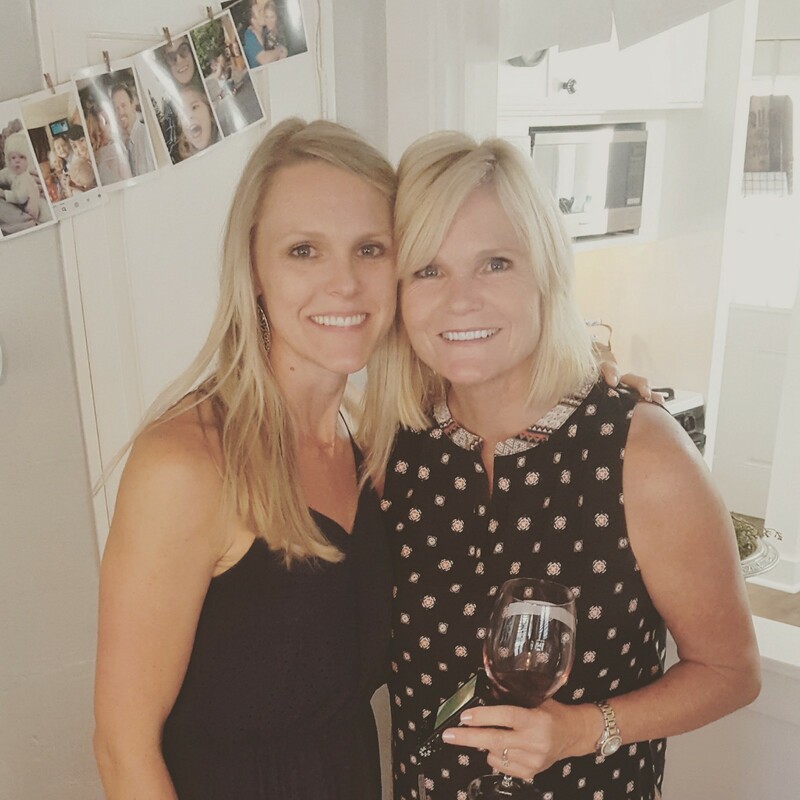 Because of her memory loss, the mother doesn’t talk to her daughter very much anymore, but at that moment they talked quite a bit about the past. She even gave me feedback on the pie. It’s such an honor that they like my pies and I’m able to help those experiences happen,” she explained. On transitioning from working out of home to working in-home, she stressed that the change was not easy. 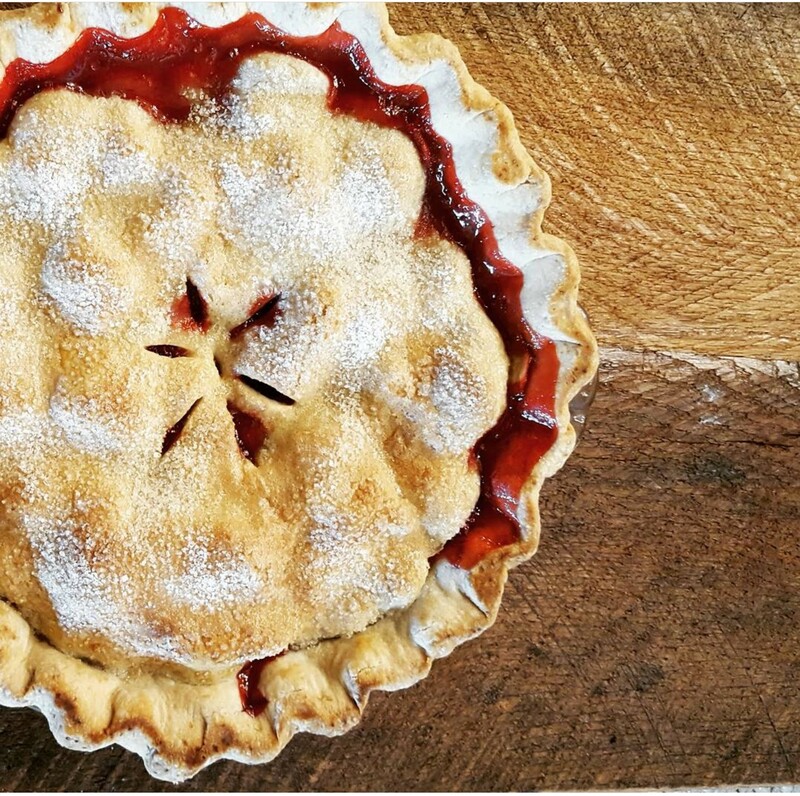 The BAK Family Farms’ website gives everyone a glimpse of all the special creations Katzenstein has to offer: pie pops, whole pies, take-and-bakes, and glazes. Her pastries are as vivid in taste as they are in appearance. For holidays like Easter, you’ll see terracotta pots with flower shaped pie pops inside, while take-and-bakes give off that sweet “baked from scratch” smell at home, any time (in the freezer they will last up to 3 months). And those sugared, gooey and sultry glazes, are for that little extra indulgence any sweet tooth needs to add on top of their baked goodies. “They [the glazes] just add a little extra indulgence. A lot of people have gotten the Bourbon apple pie with the maple sugar glaze. 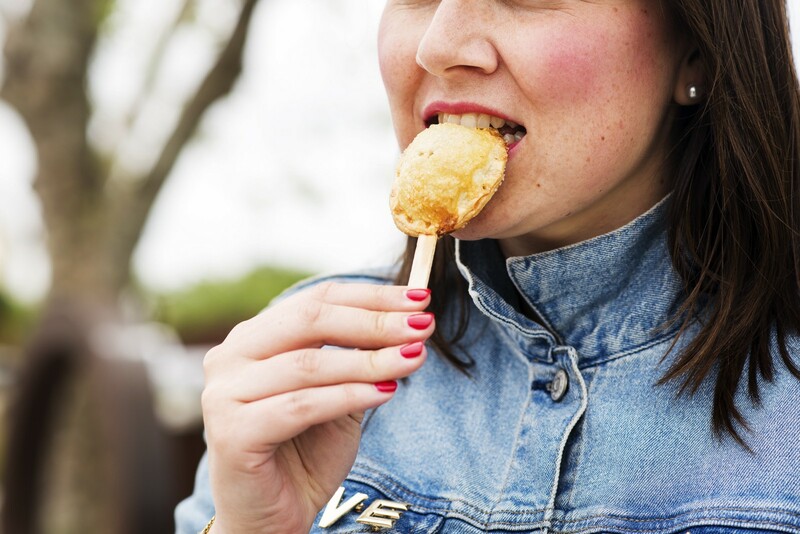 It adds another flavor and it makes it pretty just like on the pie pops. Like the almond cherry, it has a pink drizzle on there so that it adds a little something else,” Katzenstein explained. As her site confirms, “Every batch made from scratch,” but fast pace isn’t her style per say. Her number one priority is to give her customers quality goods made of the freshest organic ingredients. She uses local produce from the farms around her for not only for satisfaction, but as a way to support those businesses around her. For the future of BAK Family Farms, Katzenstein wants to have a commercial kitchen so she can expand her creations. Above all, her daughters come before the business, and as long as the business doesn’t seem to interfere too much with her family life, she’s excited for it to expand. With Katzenstein’s talent and the pastries’ deliciousness, that shouldn’t be much of a problem.